This video is part of the appearance, “NEC Roundtable at Interop Las Vegas 2013“. It was recorded as part of Tech Field Day Extra at Interop Las Vegas 2013 at 13:00-14:00 on May 8, 2013. 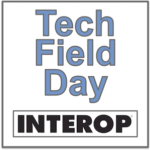 Tech Field Day delegates join NEC to discuss their OpenFlow technology at Interop. Don Clark and Samrat Ganguly are joined by Colin McNamara, Jason Edelman, Jennifer Huber, Tony Mattke, Samuel Clements, Robert Novak, and “Mrs. Y”. Recorded at Interop Las Vegas on May 7, 2013.